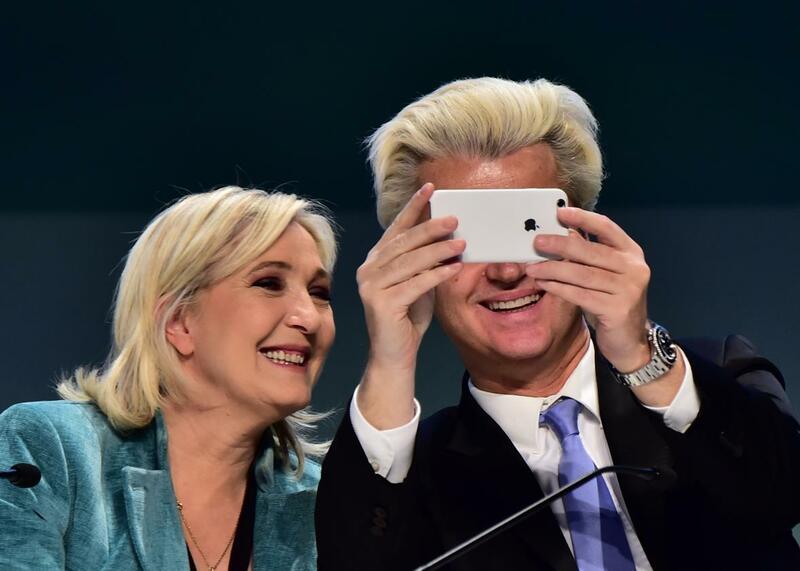 Are far-right European politicians Geert Wilders and Marine Le Pen taking a selfie with their minds? Hello there! I’m Gabriel Roth, filling in for Rebecca Onion. I’ll be here all week to highlight thought-provoking pieces from Slate and around the web. Reihan Salam argues that Donald Trump’s primary-season success is rooted in “the Republican failure to defend the interests of working-class voters, and to speak to their hopes and fears.” The GOP establishment, he writes, “often fall prey to wishful thinking about the rank-and-file voters who actually elect GOP candidates. They imagine that working- and middle-class conservatives are passionately devoted to the things they care about—tax cuts and entitlement reform.” Under the headline “Folks Before Kochs,” Salam offers a sweeping new platform for the party—one geared to the concerns of working-class voters rather than wealthy donors. Sign up for any of Slate’s newsletters here.